KSRealityBites: How to use the new Rupee symbol in your computer? How to use the new Rupee symbol in your computer? MANGALORE: Wait is over to use the new rupee symbol on your computer! Yes, that's right. Though the symbol may take a while to appear on the keyboard, it can now be typed as a character, thanks to the newly created font. Mangalore-based Foradian Technologies Pvt Ltd has created a font called Rupee_Foradian. It can be downloaded from the company’s blogsite & used for free. Foradian Technologies CEO Unni Koroth told that it was "something of an amusement to us in this era of technological advancement" that the government of India said it would take more than a year for the symbol to become commercially available. "We thought of doing something about it," he said. The company created a vector image of the new rupee sign & mapped the 'grave accent' symbol ~` the key just above the tab button on the keyboard — with it. This keystroke was chosen because most users & programmers don't use it. Within the hour, the trial version of the font was downloaded 1,100 times. When downloads crossed the 5,000 mark, the company worked on the full version, which it has also made available for free on the site. Following video explains how easy it is to use the Rupee symbol.. Many users of social networking sites 've started using it, as have hundreds of bloggers. 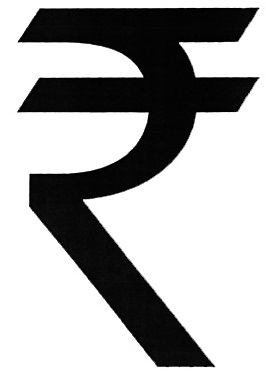 Version 2.0 of the font was released within 24 hours of the announcement of the Rupee symbol. Please tell me how to use that sign on keybpard? @PublicLiabilityCover Watch the video and you will find your answer. Hope you got it! Thanks for your visit.